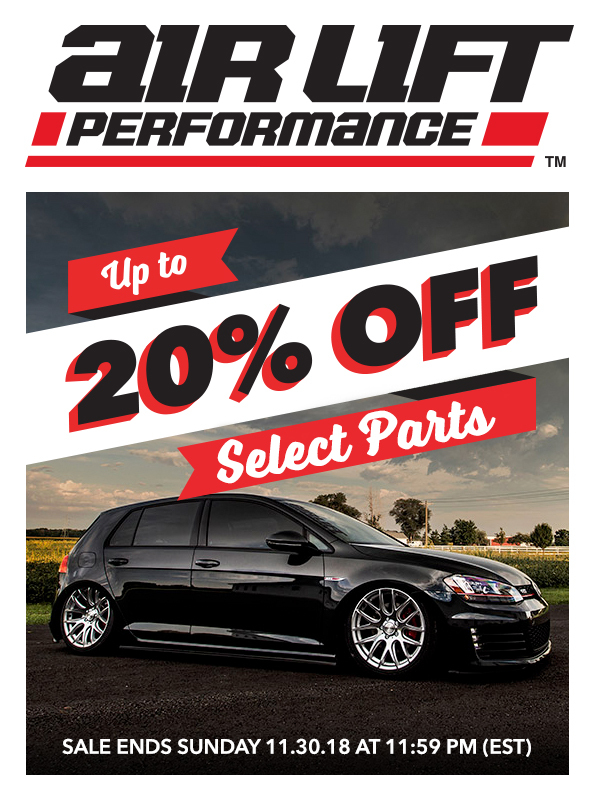 From NOW until 11/30/2018 SAVE up to 20% on Air Lift Performance Suspension Upgrades! Air Lift Performance | Drive it. Show it. Track it.